One of the things I really enjoy about living in our local area is the sense of community that exists here. This extends not just to the day to day interactions between us and our neighbors, but also in the way we receive information about what's happening in our region. 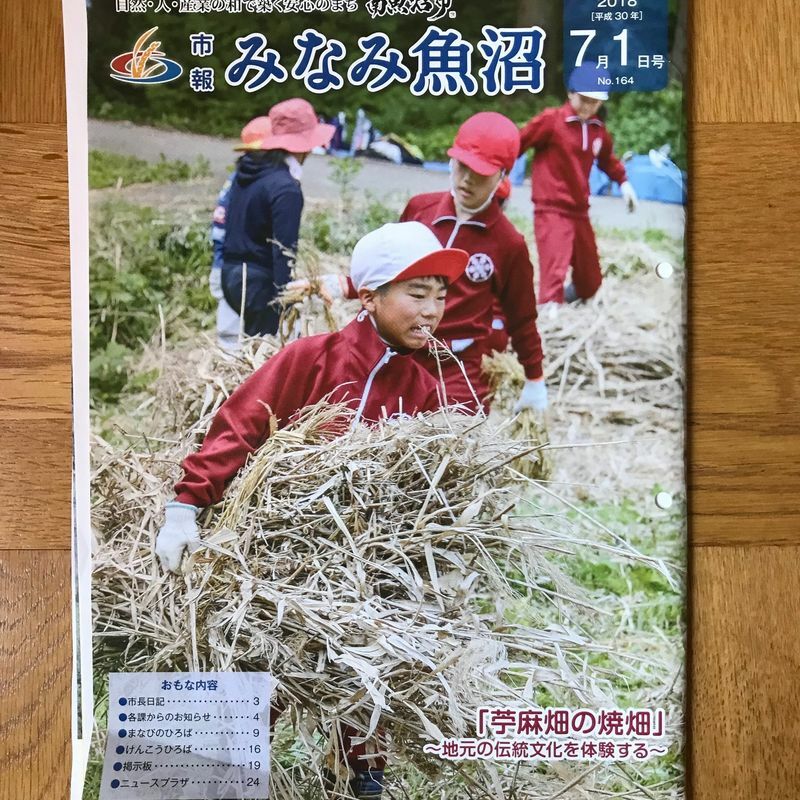 Each month, there is a magazine that gets distributed to residents of the area, containing information about what has been happening in Minamiuonuma - as well as details about upcoming events such as fun runs, community get-togethers and festivals. It's always helpful when we receive the magazine as a way of knowing what fun things are going on locally. 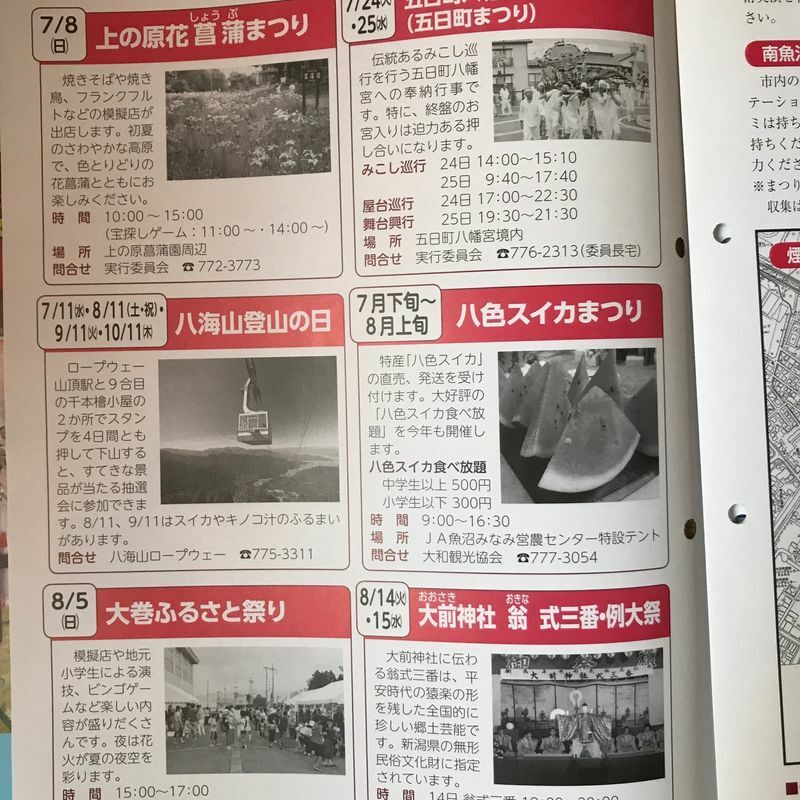 One festival that we're really looking forward to from this month's issue is the Yairo Watermelon festival, held from late July to early August. The watermelon that are grown in our region are famous for being juicier and sweeter than other watermelon grown in Japan, and the festival allows you to have all you can eat watermelon for a small price. Sounds almost too good to be true, right? It's a nice way of dealing with the summer heat and humidity that we still get in these parts! There are also updates about what is happening at the local elementary and high schools - usually with comments from the young students. 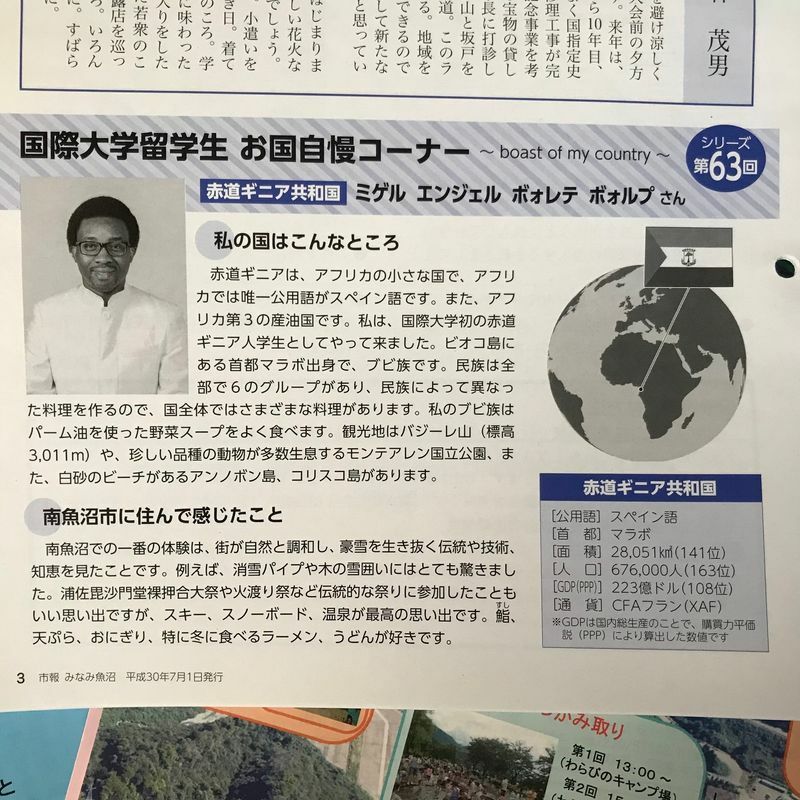 One thing I also like reading each month is the section that profiles a student from the International University nearby. The section is called "boast of my country" and allows the students to introduce themselves and where they hail from to the local community. The university currently has students that come from 60 different countries (pretty impressive when the student count is under 400), so there's something interesting to learn each time the magazine comes out. This student comes from Equatorial Guinea, and is the first student from that country to study at the university here. 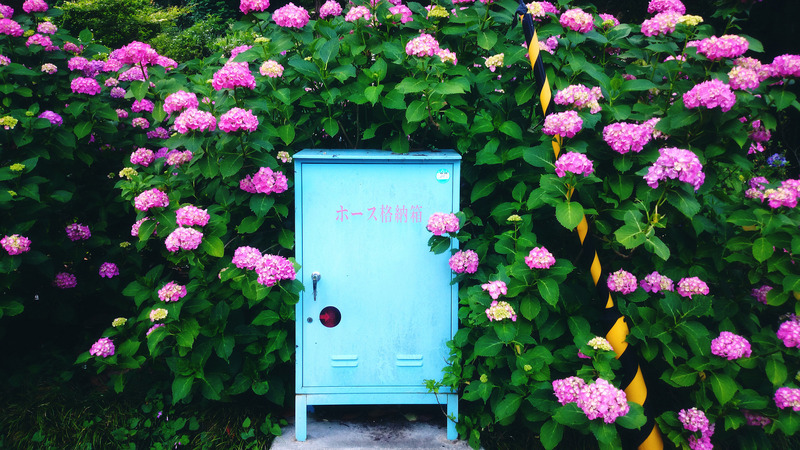 Does your local area produce a newsletter or magazine about what's happening in your region?